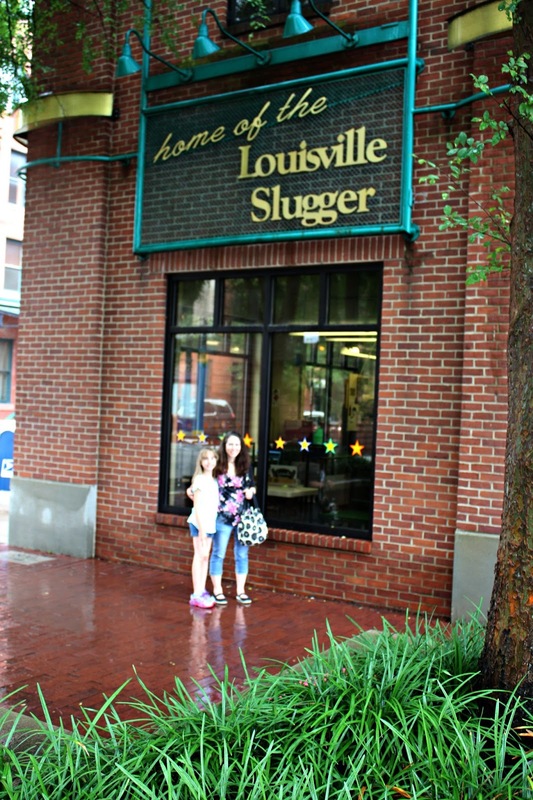 A Little Time and a Keyboard: A Family Visit to the Louisville Slugger Museum is a Home Run! 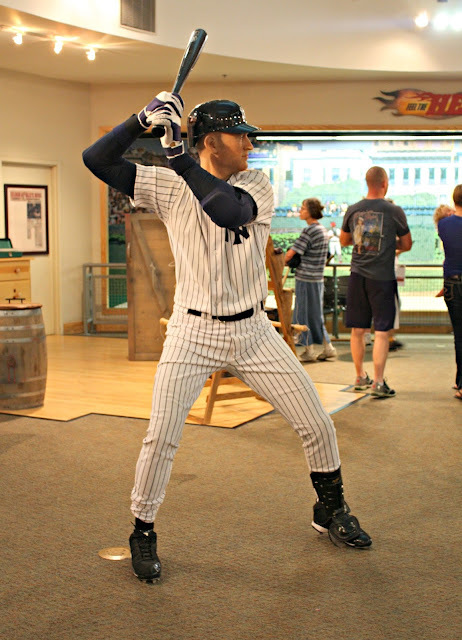 A Family Visit to the Louisville Slugger Museum is a Home Run! **Disclosure: Thank you to Louisville Convention & Visitors Bureau for providing us with museum and attractions visits so that we can bring these reviews to you. No compensation was received for this post. All opinions are 100% my own. You don't get any more American than baseball! While in Louisville, families can experience firsthand an American creation that has helped many a legend in their journeys towards greatness--the Louisville Slugger! Voted one of the best factory tours for kids, a tour of the Louisville Slugger Museum and Factory was high on our wish list for our Louisville vacation. Honestly, though, who can resist visiting the building with the world's largest Louisville Slugger bat outside of it? The impressive steel bat models Babe Ruth's and stands 120-feet tall while weighing 68,000 pounds. Enormous! Since we had already heard accolades about the factory tour, we were pretty excited about seeing a legendary American maker in action! However, we were not expecting to enjoy the many exhibits in the museum. 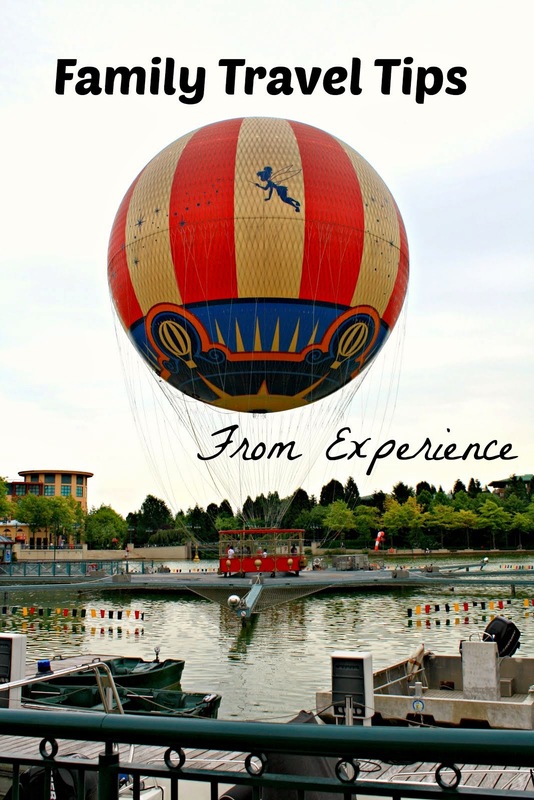 Hands-on experiences were plentiful--which is key when traveling with a child! In the museum, hands-on experiences help understand not only how baseball bat specifications are so integral to the game but how bats are crafted in the first place including harvesting and choosing the best wood. There are a plethora of opportunities to hold, feel and even swing bats. We were amazed by how different they can be. My daughter and I actually struggled a bit to lift some of them! Time to hit the weights! 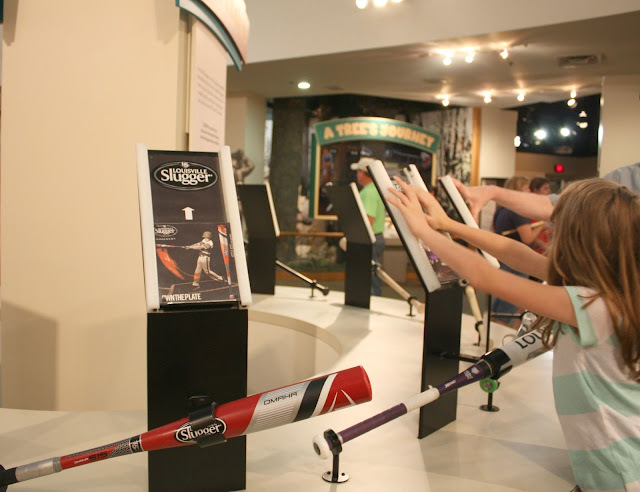 The museum includes several active experiences like feeling what it is like to feel a 90 mph fast ball fly by you, batting cages, a large glove to climb around and the opportunity to hold baseball bats used by the legends. Stand on the field with the greats, check out a detailed timeline of Louisville Slugger history and more. The museum packs quite a bit in! Of course, the star of the visit is the factory tour! Alas, guests are prohibited from taking pictures so I do not have any action shots for you! However, you do witness baseball bats being crafted while on tour. We witnessed various parts of production as well as different methods. We even saw some bats being painted which was pretty a cool! Truly a great visit and real slice of Louisville! You WILL see bats being made on the tour. Demonstrations are done even when the factory is not in live production. The last tour leaves 30 minutes before the museum closes. However, I recommend showing up earlier than that to assure you will be part of a tour. 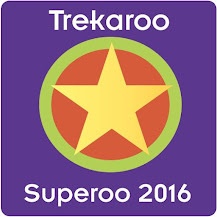 Plus, it will give you time to explore the exhibits. Plan about 1.5 hours - 2 hours for your visit. Summer hours feature later hours. Plus, there currently is a discount on admission for visits after 6PM. Do touch and feel the hands-on exhibits. Even if you are not a baseball fan, these exhibits will give you a little more understanding and appreciation! Be on the look out for the Signature Wall and the Wall of Fame! The Signature Wall contains the signatures of those that inked contracts with Louisville Slugger. On Main Street, see the bronze castes of bats used by some of the most successful players that used the Louisville Slugger. 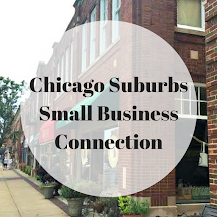 Explore Museum Row while you are in the area. The Louisville Slugger Museum and Factory is across the street from the Frazier History Museum and near other museums and cultural experiences in Louisville. Hope to some day get back and see more of the city, but the Louisville Slugger Museum is a definite must see! 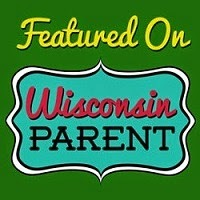 :) Nice write-up!